my memoir has been published! My book, Bound to Love: a memoir of grit and gratitude has been published! Both the paperback and Kindle versions can be found here, at Amazon. Other digital versions can be found at Smashwords. Usually my posts here have a different flavor, exploring nondual understanding. The memoir chronicles the pressure cooker journey that drove me toward unwrapping this deeper truth. Perhaps, without my son Thom, I would not have. I am very grateful. The memoir won first prize in the Pacific Northwest Writers Association 2005 contest under the name Blood Bond. That was a very bad time to market memoirs, I discovered, because of James Frey’s betrayal of the form in A Million Little Pieces when he exaggerated his personal story, and was exposed. I let my manuscript molder on my computer for seven years, then pulled it out and walked it through two more critique groups. Bound to Love is the true story of a single mother who encountered and navigated a complicated nightmare for any parent. My child, the only child I could ever bear, was born with a life-threatening congenital heart defect, and suffered a more brutal health diagnosis soon after. Walk with me as I birth the courage and grit to meet Thom’s compounding challenges. A few years ago, I went through twenty-two months of intense suffering. I could see the web I had entangled myself in, but flailed there. Both seeing, and caught. Miserable. An awake friend sent me to a counselor with a deep understanding of the non-dual view. One evening a few months in, she said to me, “You repeatedly abandon yourself. Stay home, instead.” I caught the faint scent of what she meant, but couldn’t articulate it. It lived inside, a percolating koan. 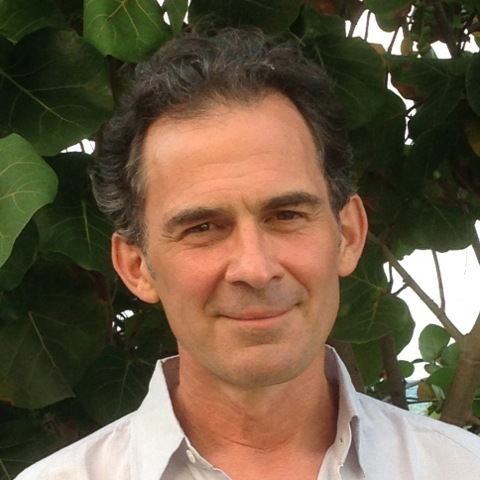 In the 2013 Fall retreat with Rupert Spira, he responded to someone’s question by saying, “Stay home, resting in the natural state. Let objects come to you instead of your going out to them.” My body startled. I had believed my counselor meant that I was abandoning the personal I, but now understand her pointing in a deeper way. I cast a veil over open, impersonal awareness by getting busy with the stickiness of story and then believing my thought-made world to be true. Thought may be useful in daily activity, but when it is emotionally-laden and enmeshed with bodily sensation, it is a prescription for unhappiness. It was time for profound self-examination–I had been apparently choosing to abandon what is closer-than-close, stable and trustworthy, lured by the crazy, unending morass of separation. That which had initially seemed boring gradually took on a different cast. Quiet. Reliable. Most people my age have experienced a painful tooth. I’ve got a whopper right now—the deep, pulsing ache in a lower molar that, over the decades, has already had lots of dental intervention. I took the obvious steps: I called my dentist (better today than tomorrow during the Super Bowl), and will dutifully take the remedies he suggests until Monday, when he said he will look at my x-rays and most likely refer me to an endodontist. This is physical pain—and today, is considerable. I could also suffer over this tooth, which might include worry over whether the dentist’s remedies will bring relief until treatment is available, concern about this new specialist I’ve never met, obsessing over the cost of treatment, or dread about pain during procedures-to-come. I am intimately familiar with all of these ways, and many more, to incur suffering; they’ve been old, well-practiced companions. Why would I invite suffering when I’m already in substantial pain? That would add yet another layer of misery on top of what is already uncomfortable. Because as a child, I was taught–even encouraged–to dredge up memories of discomfort I’ve experienced in the past, or imagine nightmare outcomes. This was modeled for me in countless ways, and not just in my family. This modeling was rampant among everyone I knew. I suppose there must have been exceptions; I can think of none. It is so easy to inadvertently pass on this familiar, unconscious behavior to the next generation. I know I did, because my son exhibits some of the same patterns. But once patterning is in place and well-practiced, it is up to that person to unlearn and unwind the conditioning. No one else can do the work for us. My son and I have talked about this, and I’ve apologized. The very best I can do is model differently now. We cannot avoid pain. Suffering is optional. Will we choose to leave it alone, or pick it up?